You can book your appointment with Junk King Columbus online or over the phone. Either way, you can be assured of a prompt response. Most sessions are handled by the next day. If you need to schedule your appointment for the weekend, Junk King can certainly accommodate that. Junk King Columbus works with many realtors and apartment managers. They are all on a strict schedule and need to act fast in order to get their properties ready for the market. 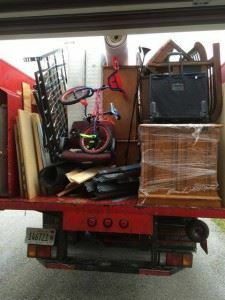 Junk King Columbus can do an amazing amount of junk removal in a very small amount of time! It’s clear from the reviews that the only company to hire for quality junk removal is Junk King Columbus. This entry was posted in columbus junk removal and tagged customers, Junk King, junk removal on September 30, 2017 by Junk King. Last updated October 1, 2017 .